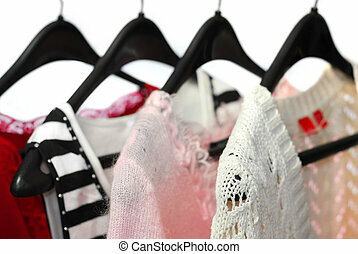 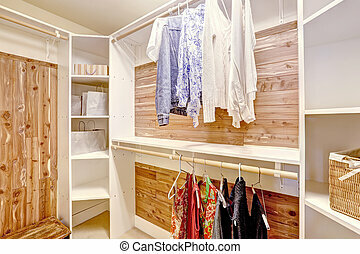 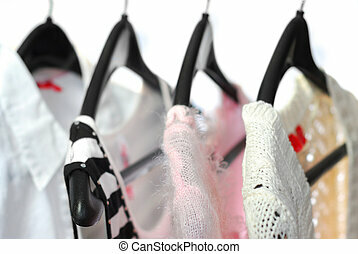 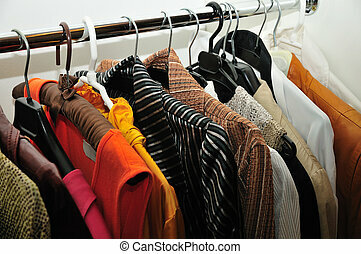 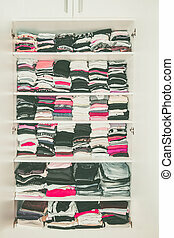 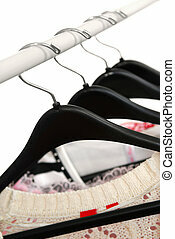 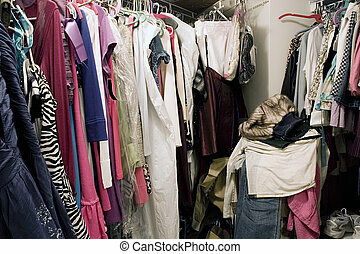 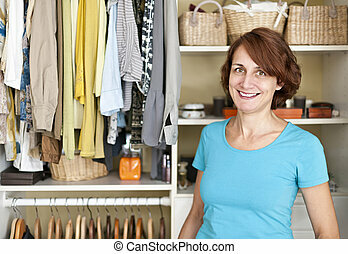 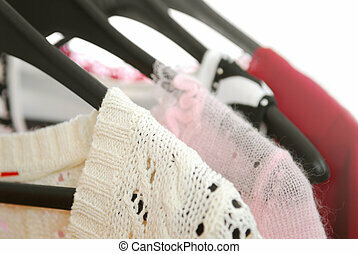 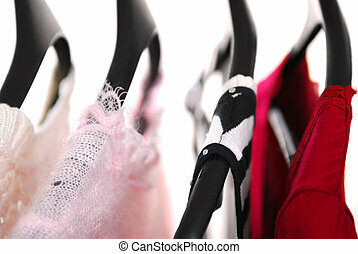 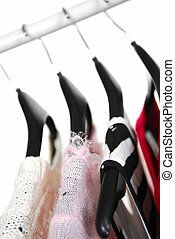 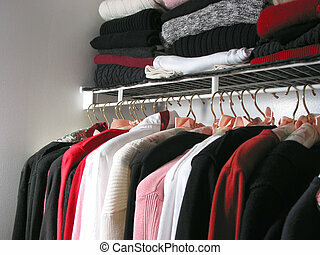 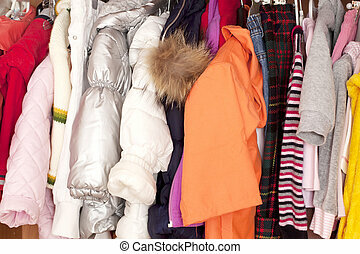 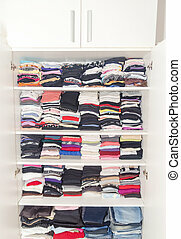 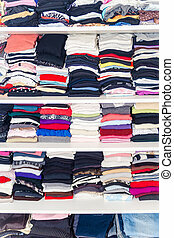 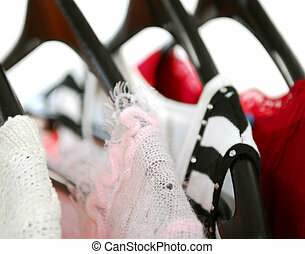 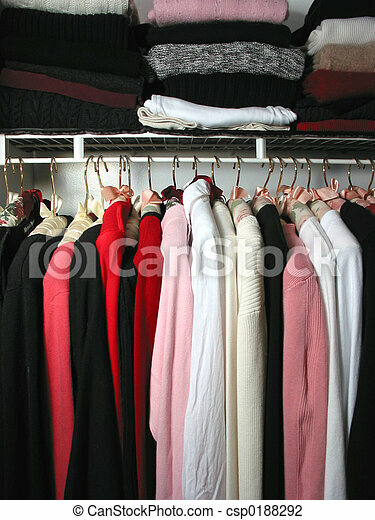 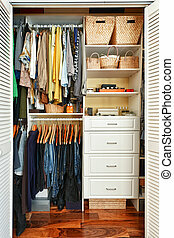 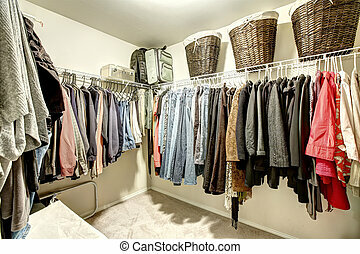 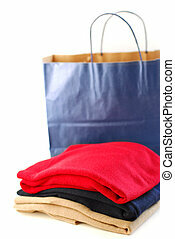 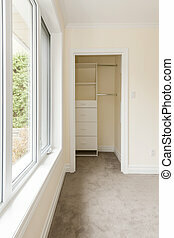 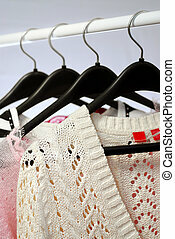 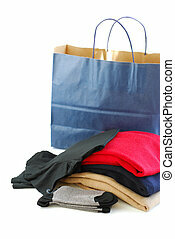 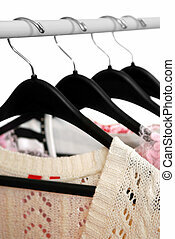 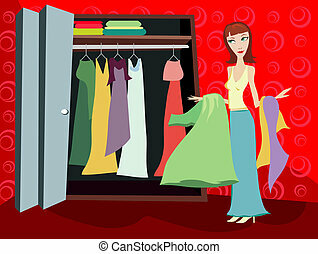 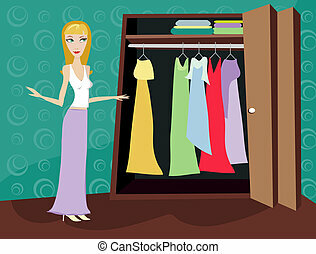 Dressing White Closet with Clothes Arranged Neatly Thickly Ordered. 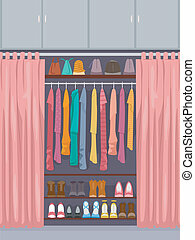 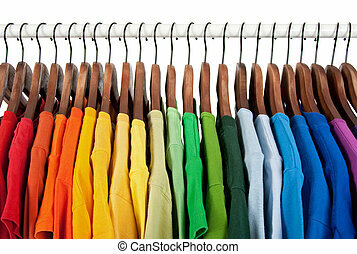 Colorful Wardrobe of Newborn, Kids, Toddlers, Young and Adults People. Full of All. Many T-Shirts, Pants, Shirts, Blouses, Shirt.